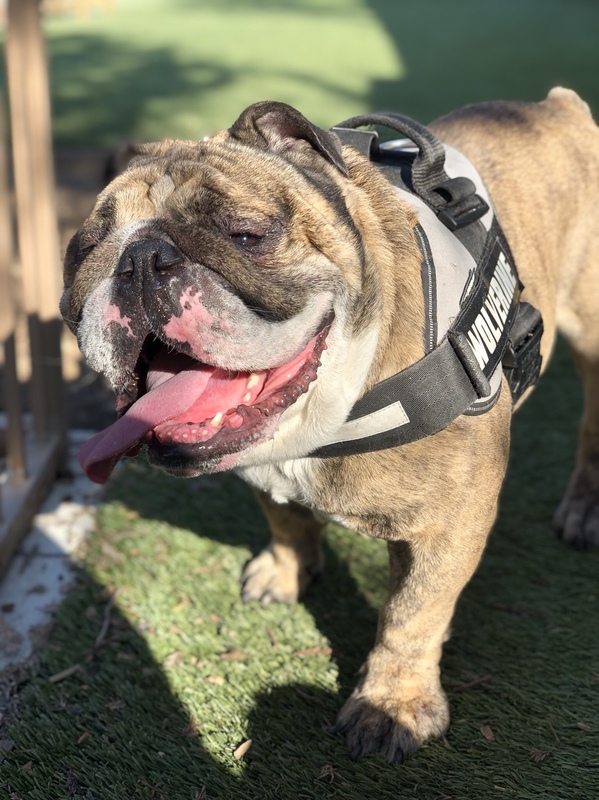 Thread: ~ENTER HERE~ April 2019 Bulldog of the Month "BEAUTIFUL BULLDOG SMILE"
Re: ~ENTER HERE~ April 2019 Bulldog of the Month "BEAUTIFUL BULLDOG SMILE"
Wow look how much fun they’re having!!! Where’s you on your A*s n poop in one hand? Someone got jokes!!!! That’s a good one. This was a couple days after Louie knocked me down with the poop and one day after I fell down the stairs while holding Jax. I was a mess that week! Murphy was so excited for his new crate for the Jeep, he would not get off the box.! car rides and extra comfy for vacation in July! wow - I had to enlarge the photo to see that the one to the left was not a real dog! hehe...which one do we judge? They look almost alike! Holycowabunga... I thought was 2 lolll. Can I retract this Petunia pic lol. I didnt even read the "smile" part, and shes not smiling. heres a pic of my sweet Bianca that's crossed rainbow bridge. His name is Gable Patton Der Panzerjager aka Gabe. No need for this little cutie pie to smile. Love that mug.